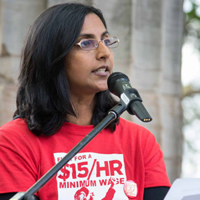 Press release on March 19 from the office of Councilmember Kshama Sawant. 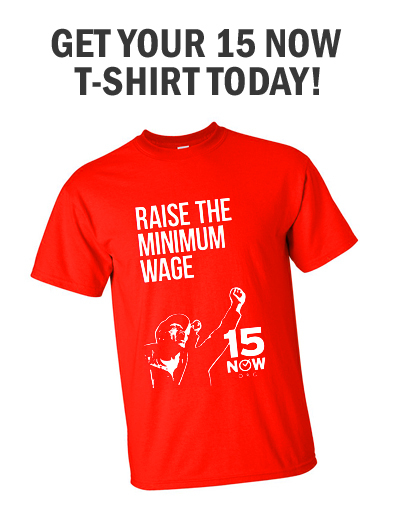 “It’s been said before, but worth re-stating: we need a full minimum of $15/hour for all of Seattle’s workers. Small nonprofits that provide essential human services have been struggling with stagnant government funding. The best path is to tax the rich and big businesses to ensure that human services are fully funded, and the employees of micro businesses and human service nonprofits also get a full $15/hour. “Conversations and newspaper columns have brought up carve-outs like tip credit, total compensation, training wages and teenage wages, which are completely contrary to the interests of workers. Big businesses have not shown their faces in the debate, and they are glad as long as they can hide behind small businesses. “The Mayor has expressed concerns about ‘very small businesses’. If the concern is about small businesses, then I would assume Mayor Murray agrees with me that big businesses can pay $15/hour now. “To help the Mayor’s Advisory Committee begin to make some progress, I have proposed we separate out the issue of how to implement the $15/hour minimum wage for big businesses versus non-profits and small businesses. I am proposing that big business pay $15/hour startingJanuary 1, 2015, with a yearly cost of living increase and no tip credit, no total compensation, no teenage wages and no training wages. “Economic studies show that small local businesses benefit from higher wages to workers, who are also consumers. To make progress, however, I am proposing a three-year phase-in for small businesses and human service providers, starting with an $11/hour minimum wage on January 1, 2015 and increasing up to $15/hour in three years with a yearly cost of living increase. “Offering a phase-in to small businesses will force the discussion to focus on big businesses. People should not forget, though, that the cost of living for workers is no different regardless of the size of the company. Previous PostSeattle: 15 Now Testimony at the Committee on Minimum Wage and Income InequalityNext PostThe CEO of Starbucks makes how much an hour?